Awards motivate and inspire me as they give recognition to your work. They give more responsibility and strength to face struggles of your journey. Aashish has overall 13 years of teaching experience. 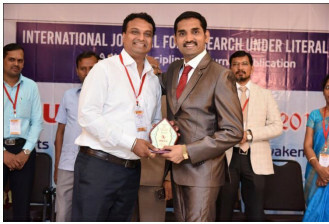 He joined Sipna College of Engineering and Technology, Amravati, in 2005 and has been associated with the institution ever since. He has done M.E. in Computer Science in 2012. 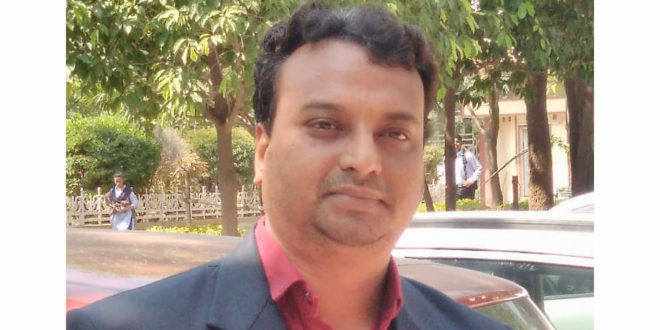 He has published more than 20 research papers in highly reputed Indexed journals. He is a member of various professional bodies like ACM,CSI, IETE, IACSIT, IAENG, IACSE, IRED, BESI, IJRULA. An Engineering educator who has deep rooted interests in Indian classical music, he has set out on a unique exploration of our rich musical heritage that confluences with the use of modern technology. Aashish is currently pursuing Ph.D. and his research focuses on study of structure of Indian classical ragas and its influence on human body. Some ragas like Darbari Kanada, Khamaj and Pooriya are found to help in defusing mental tension, particularly in the case of hysterics. Raga Malhar pacifies anger, excessive mental excitement & mental instability. The proposed research presented in this paper is aimed to discover the science behind phonetics of raga and its effects on nerve system. This research is one step to explore scientifically the ancient way of alternative medicine i.e. raga therapy, which is a need of the day since current advances in technology and rising workload on human beings is accompanied by stress. This research focuses on studying the influence of Indian classical ragas structure on human body while person is listening and experiencing an emotion in it by capturing EEG signals. The brainwave signals database will be collected and analyzed to determine the co-relation between ragas and emotional well-being of individuals. The objectives and aim of this research is to present a strong case which will help medical practitioners like psychiatrists, to treat patient by injecting music stimulus. 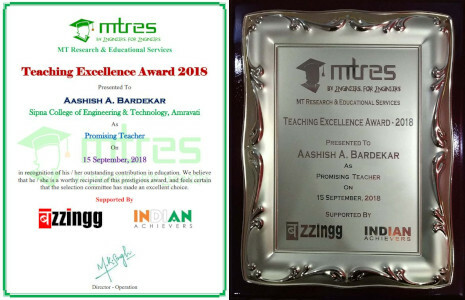 Aashish has been honoured with multiple awards for his excellent contribution in the field of education. 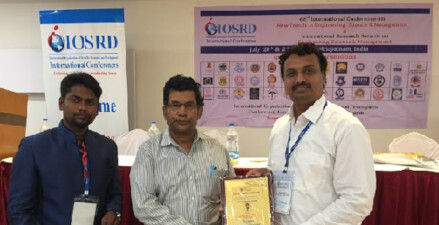 He has received Best National Research Scholar award 2018 by IRDP, Chennai; Outstanding Scientist Award 2018 by IOSRD in Coimbatore; Best Researcher Award 2018 by IOSRD in Visakhapatnam, Andhra Pradesh; and Best Researcher Award 2018 by IJRULA in Trichy, Tamil Nadu. He was instrumental in starting the CSI chapter in the institution and worked as Student branch coordinator (SBC) for six years. Life is a journey, struggles are inevitable, My Moto is: Be ready. He is credited with starting the chapter of SPICMACAY at the institute for promotion of Indian classical music and dance and works as its active member. He is also a member of Lions Club International, Amravati branch, since 2016 and is currently handling the role of treasurer of the club. He is also one of the lead singers in Symphony Group Orchestra, Amravati. MTRES is doing an excellent work by motivating and honouring researchers like me with an award thereby appreciating and giving recognition. I am thankful for this wonderful gesture.